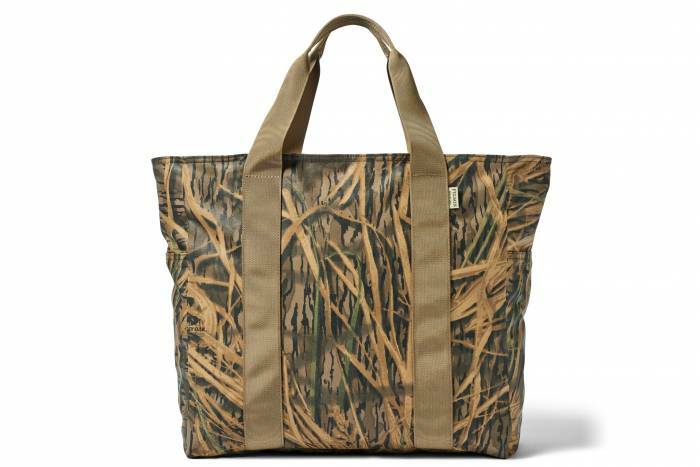 A tote bag is one of the most versatile pieces of gear, for use in the city or in the woods. You can put any piece of gear you want in the tote thanks to its supremely simple design. And most stand up to heavy hauling (like firewood) and use. When used in town, they eliminate the need for single-use bags that just wind up in the landfill or as litter. In the past few years, there’s been a surge of tote bags released from major outdoor brands. 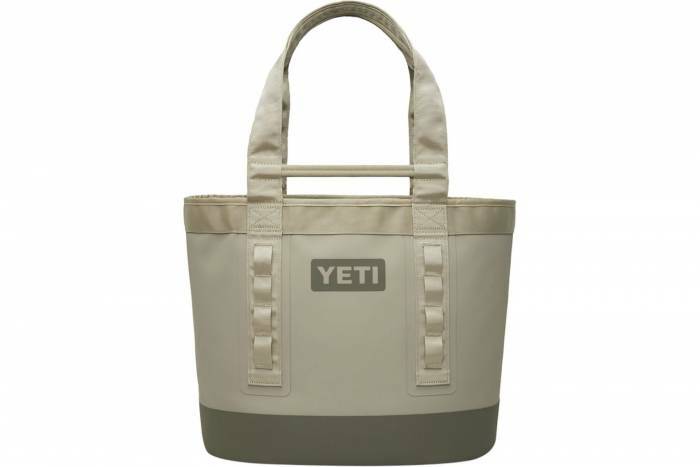 YETI, Filson, The North Face, Flowfold, and many more released tote bags, cueing a tote bag trend. While we didn’t torture test the bags, we did use them for everyday errands and camping excursions. Read on for our top 10 tote bag review. Filson’s Grab ‘N’ Go Tote Bag has lived up to its name in the few months I’ve had it. The bag is big enough for a solid run to the grocery, stylish enough for a weekend excursion, and durable enough to withstand the abuse I put it through toting gear around a farm. Flowfold crafts its Zip Porter Tote with X-Pac fabric, a proprietary blend of CORDURA and diamond-patterned polyester yarn for added tear strength and stability. The result is a fabric that’s super burly yet incredibly lightweight. 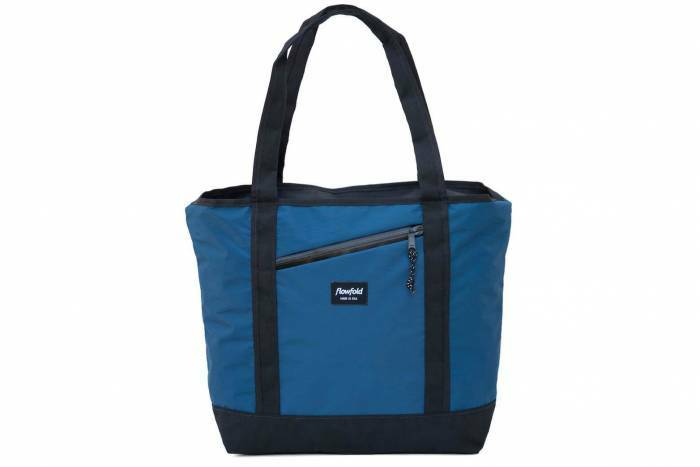 This tote functions well for roughing around, and it has an extra zipper pocket for your essentials. On top of that, Flowfold is made in the USA. 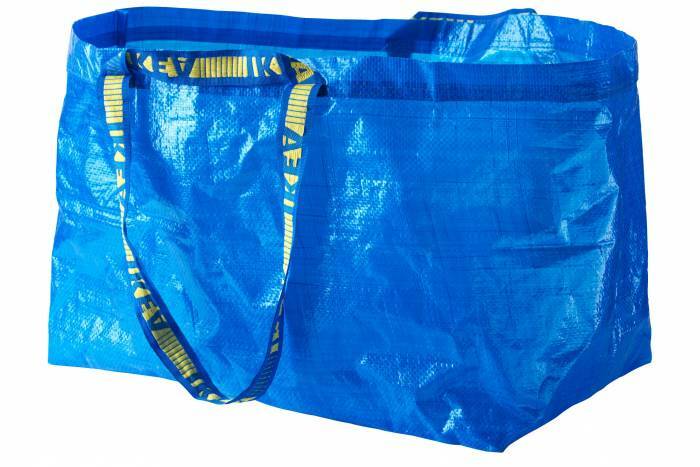 The IKEA FRAKTA has permeated into the outdoor scene so heavily, I’m not sure if I see more of these bags at my local climbing gym or the nearest IKEA. Cheap, durable, and massive: The IKEA FRAKTA extends its use well beyond the aisles of the Swedish home goods store. For only about $2.50 per bag, the FRAKTA functions exceptionally well for hauling your camp sleep system, camp cooking materials, climbing gear, or just about anything else. Of all the totes on this list, the FRAKTA certainly offers the most bang for your shiny blue buck. This may be the polar oposite of the IKEA bag, but when you pick it up, you’ll understand the high price. 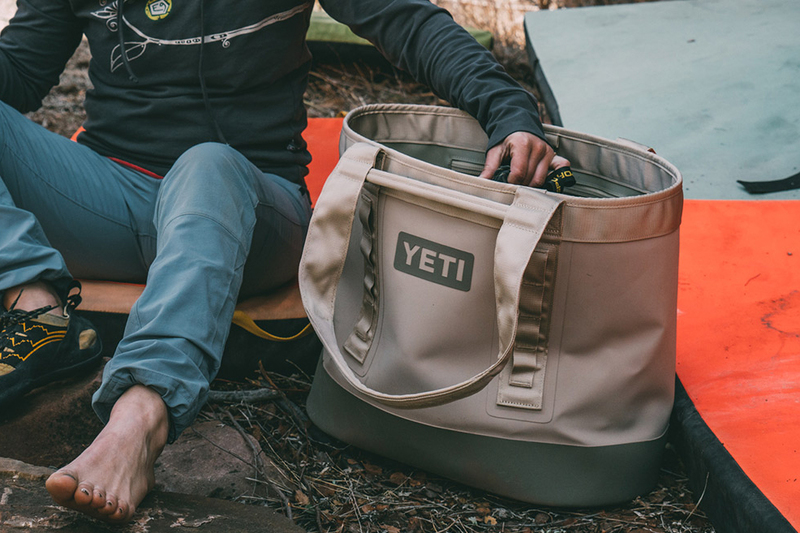 In typical YETI fashion, the Camino Carryall 35L Bag is super overbuilt to last a lifetime. It uses proprietary ThickSkin Shell and an EVA bottom, which feels super tough and stands up to abrasions. The Camino Carryall is one of the more rigid totes on the list, making it a great addition for more niche camp activities, like hauling wood. It’s also waterproof, which allows it to serve unexpected jobs like doing the dishes, hauling water, and keeping dry gear protected. This thing is tough as nails, surprisingly versatile, and will last forever. I’ve been using the Deus Ex Machina Tyler Tote for a few years now, and it’s become my go-to for hauling around all my cycling gear. It holds up to abuse and looks good doing it. One of my favorite things about this tote is the zipper closure, which essentially turns it into a decent-size duffel. This is the ultimate carryall. The 1,000-denier CORDURA construction is indestructible, and the nylon packcloth liner easily wipes clean. It’s big enough to carry gear, groceries, or camp supplies, and I like that the internal zip pocket keeps keys easily accessible. Plus, I love knowing it’s made to order locally in Portland, Oregon. 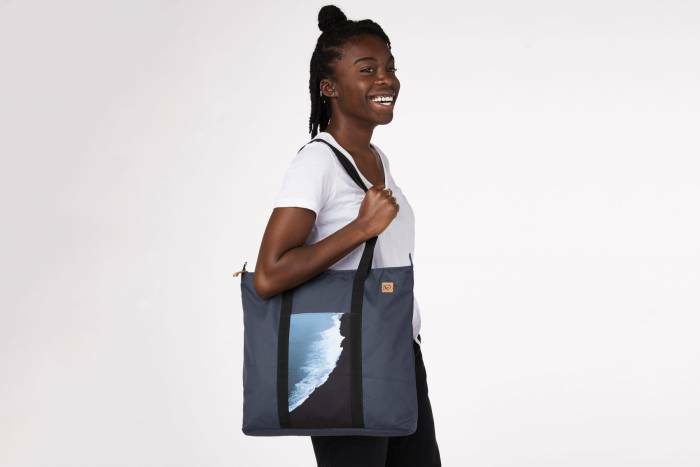 Tentree, a certified B-corp whose mission includes planting 10 trees for every product sold, just launched a tote bag made with algae. Due to the rise in global temperatures, Bloom, the brand that makes the foam tentree uses, gathered excess algae that otherwise damaged ecosystems and turned it into an effective product. The Mobius is an eco-friendly pick with a fun graphic and straightforward design. No tote list would be complete without a simple canvas tote. 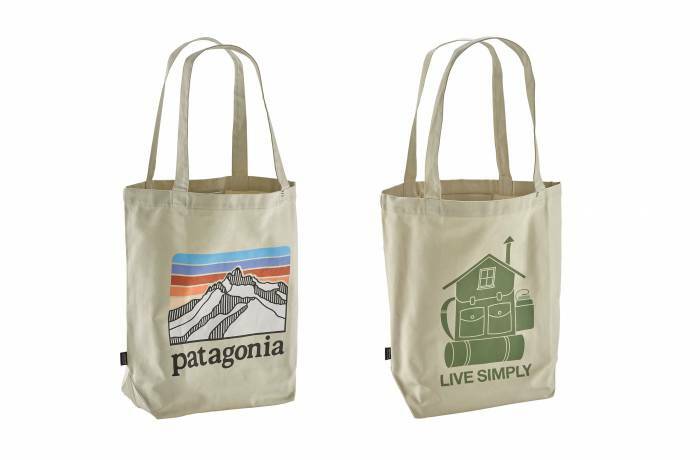 Patagonia makes the Market Tote with outdoorsy prints and recycled scraps from Patagonia’s production floor. 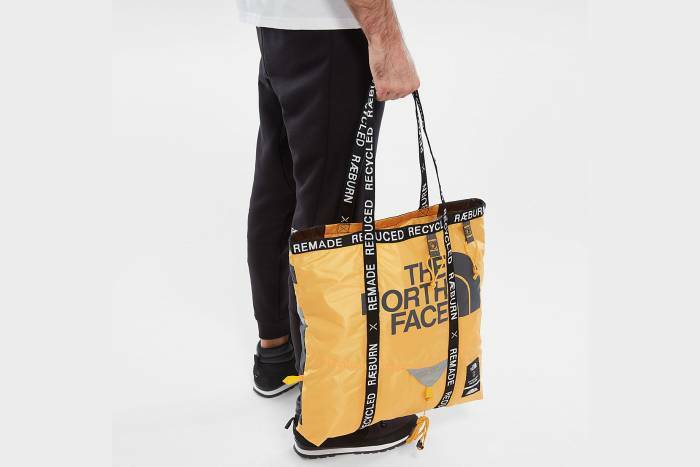 The North Face recycles old tents to create a striking tote, dubbed the TNF x Christopher Raeburn Bag. Each tote is tote-ally unique due to different scraps and tents used in production. And because it uses tent fabric, this tote should stand up to use. Note: This collaborative tote from The North Face is only available in Europe. 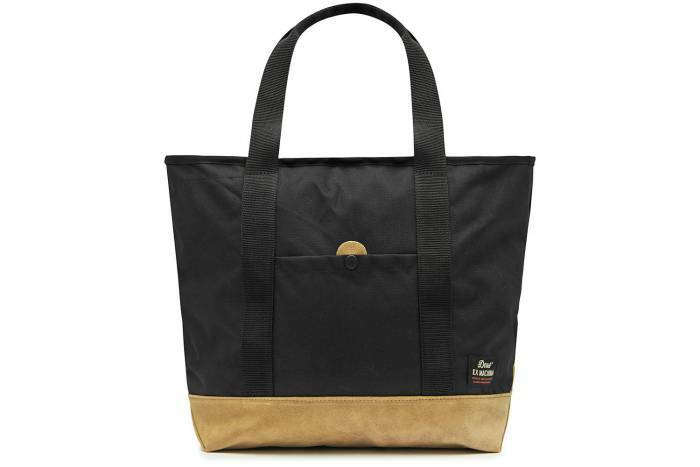 But the brand makes other great totes, like the Bottle Source Tote, that uses a durable, recycled canvas. To make the collection, The North Face diverted 160,000 lbs of plastic bottles from waste streams in National Parks. We just got the LastBag tote in the office from eqpd, and we can tell this bag should last for a while. Eqpd sought to remove single-use bags by creating an alternative to last a lifetime. 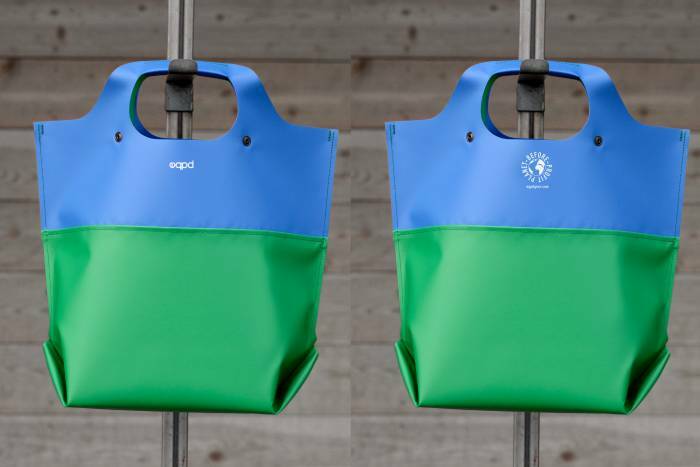 The brand crafts its LastBag with the same material used for whitewater rafts, which has a tear strength of 90 pounds. It has a shoulder strap for multiple carry options and will stand on its own when placed on the ground. Plus, the mono- and dual-colored tote bags look great. A lot of the totes on this list are expensive. An inexpensive alternative is the tote bag you can find at the checkout aisle of your nearest supermarket. We use those too, and they work well. But given the rise of tote bags from brands big and small, we had to see what all of the hype was all about. Many totes on this list are for those who want some added personality, if not function, instead of the classic grocery store tote.